Welcome to the Galaxial development log for April! 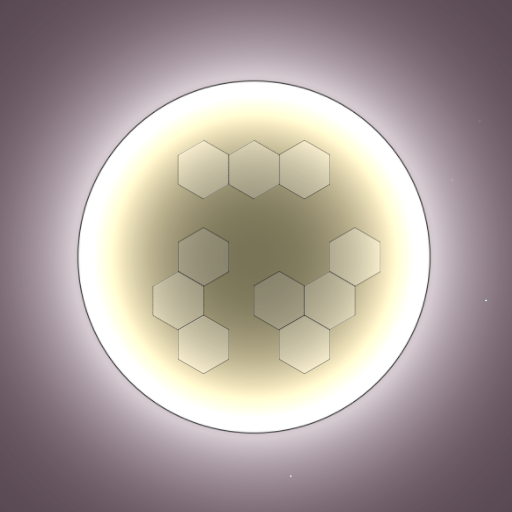 Each planet size (Tiny, Small, Medium, Large and Huge) has corresponding population graphics and hexagon tile sizes. Various buildings at the colony such as Shipyards, Farming, Refineries, Research Labs etc. 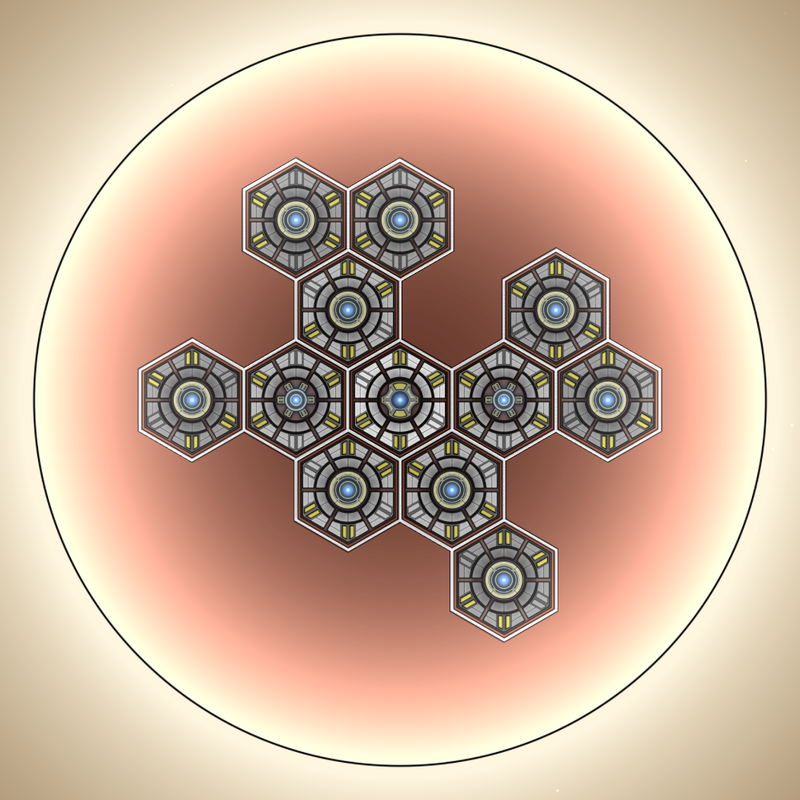 are placed within the center circle of the tile. 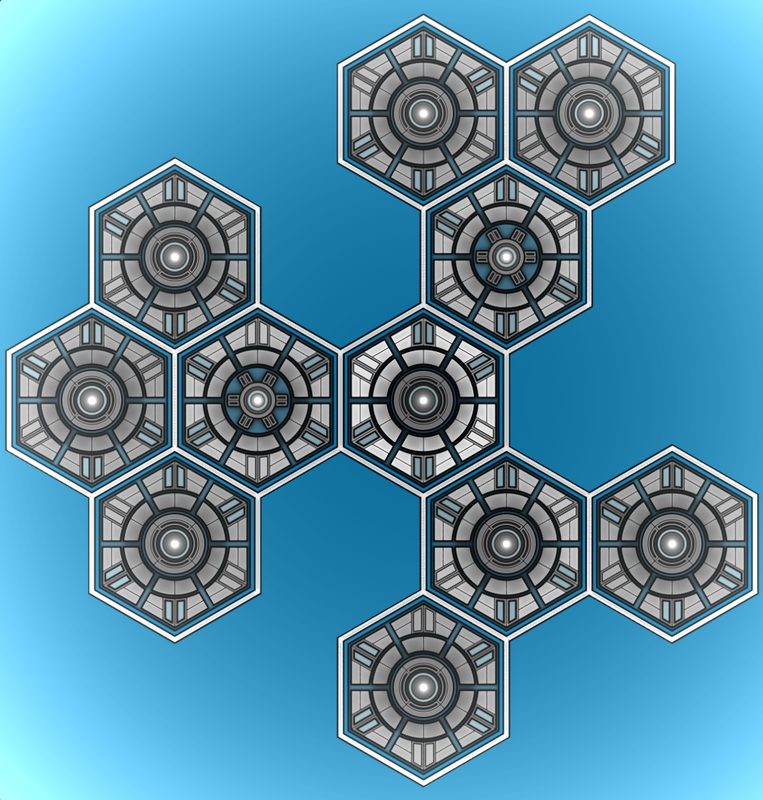 Colony population graphics surround them, which is visible for each tile depending on the current population of the planet. 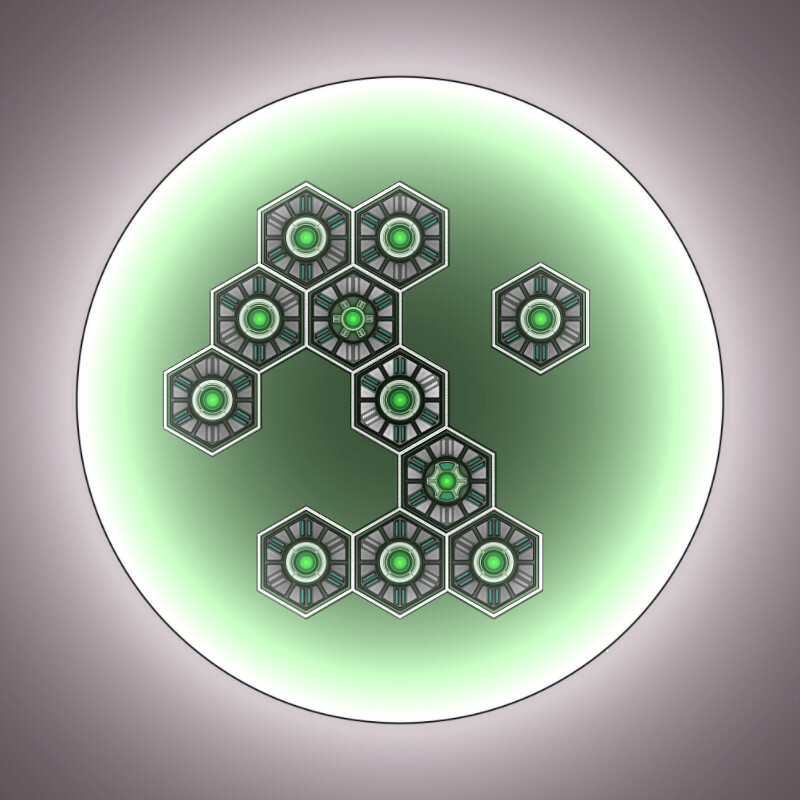 Uncolonized planets display their tile layout once they've been explored. Many buildings provide bonuses to neighboring tiles. For example a Assembly Array building boosts the output of Shipyards adjacent to it. 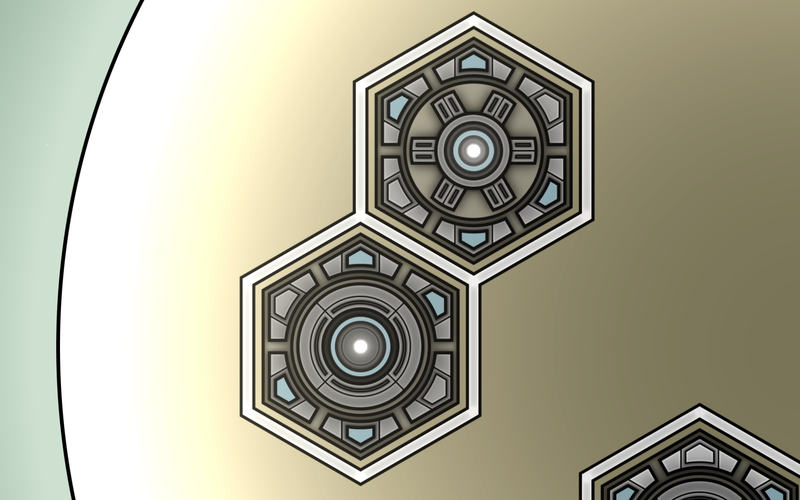 Colony buildings have panels which display the colors of the faction, as well as relation identification lights when you zoom out. Actually... One thing that I noticed and wonder about right now is how smaller ships behave with bigger ones. 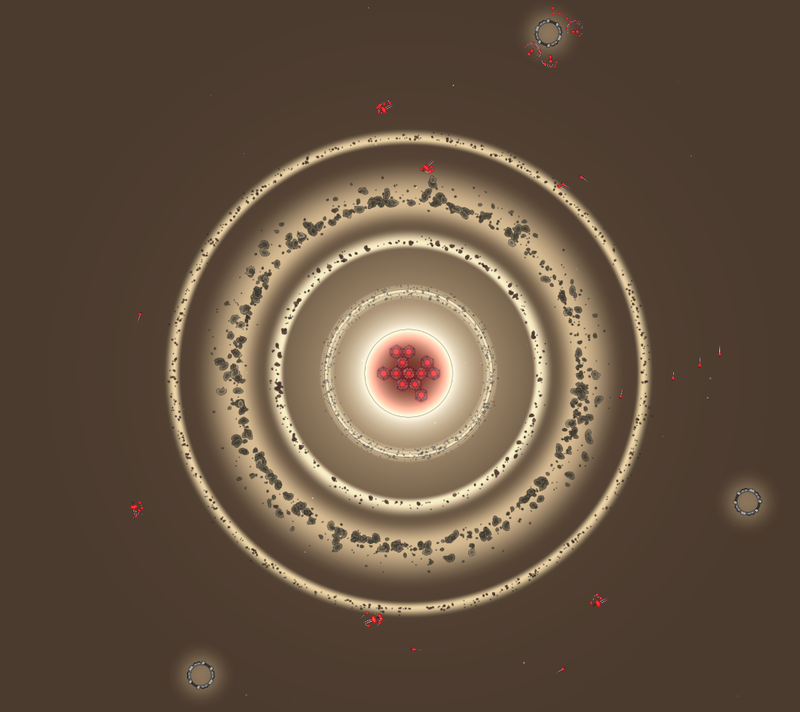 On provided screenshoots we all see small ships to circle around bigger ones. Was that done on purpose of those screenshoots only? Or is that general behavior of smaller ships when in same fleet with bigger ships? Or maybe those big ships are also Carriers and that is why those smaller ships circle around them? Modest wrote: Actually... One thing that I noticed and wonder about right now is how smaller ships behave with bigger ones. 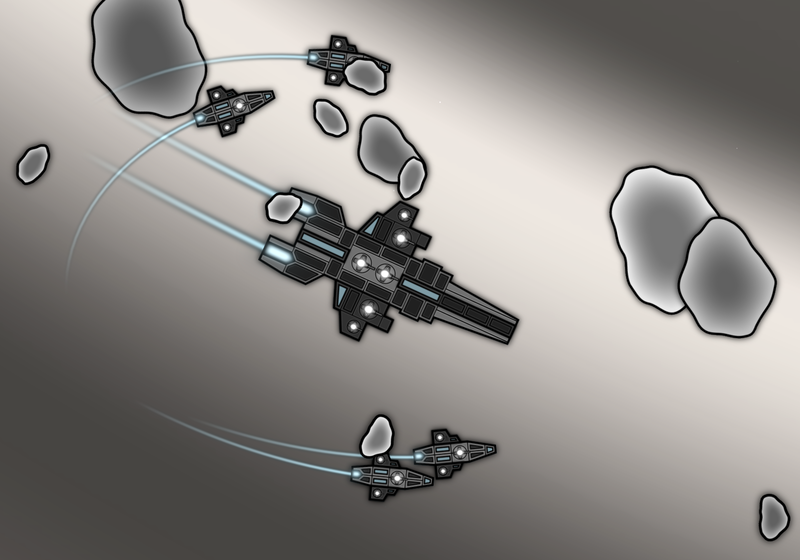 On provided screenshoots we all see small ships to circle around bigger ones. 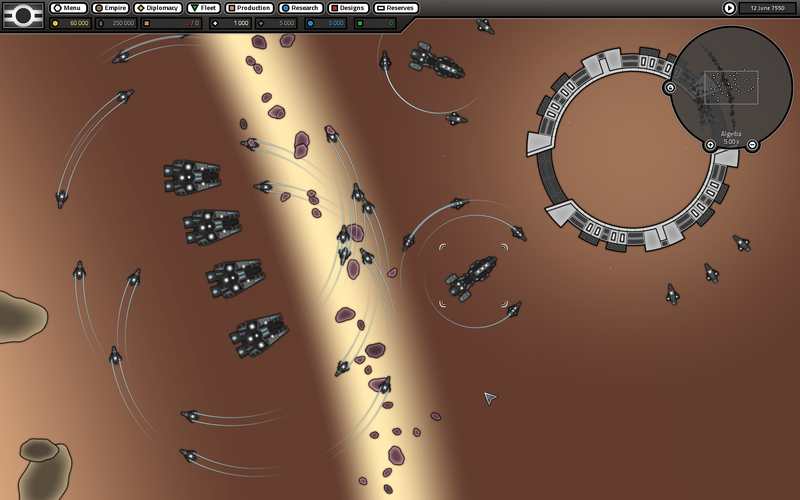 Yeah the ships circling the bigger ones was done just for the screenshot. Although you can assign orders to have groups of ships guard and protect stuff. Ship behaviour and combat will be worked on a lot more before release, so isn't completely finished yet and could change.